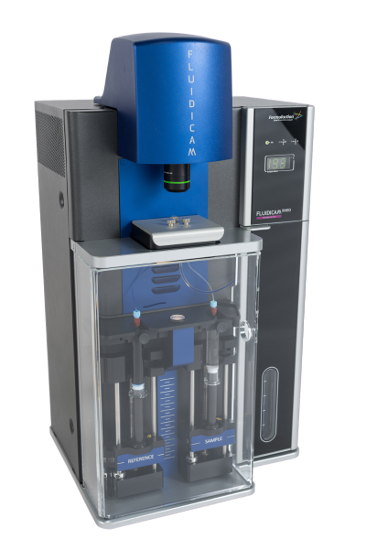 FLUIDICAM RHEO is one of a kind, fully automated rheometer combining microfluidic and imaging technologies. Easily plot flow curve as a function of shear rate and temperature with high precision and repeatability. Viscosity is an essential property to characterise fluid behaviour at flow. FLUIDICAM RHEO is designed to measure flow curves of products with various consistency (liquids, gels or semi-solid emulsions…) by combining microfluidic and imaging technologies.